You’re probably in an accounting mess if you’re reading this article. I mean, no entrepreneur dreams about crunching numbers. No, we dream of creating the next iPhone, the marketing, the office design, the company culture, and recruiting talent. But who would willingly spend their time thinking about invoicing and tax, right? It’s only when the sky comes crashing down do we look at the numbers. I get that. As an entrepreneur, you want to make your first dollar before you worry about these things. But here’s the thing: accounting is a cascading function. If you don’t get this month right, there’ll be more to do next month. The problem will only grow. The most common pitfall start-ups businesses make when it comes to accounting is a lack of integration. What’s integration? Well, it’s when accounting, like product development and marketing, is part of the business processes, not separate from it. It’s not done once a month, or worse, once a year. It’s not an afterthought after a marketing campaign. You do it every single day. And you ask your team to do it every single day. Here’s the problem though: you guys don’t have time to do all that. What do you do then? That’s part of integration: it has to be easy to do. If you want to launch an Adwords campaign, do you need jump through hoops (like going through Google’s user manual) to do it? Of course not. The same is true with accounting. A cloud based accounting software, like Wave Accounting, can do that for you. It’s not as complex as say, MYOB, but it keeps the correct records a spreadsheet can’t do. Now that you have the data, you need to understand the basics. You need to know how to interpret those numbers and know what questions to ask. For example, what are the basic documents you need? (Income statement, Balance sheets and Cash Flow Statements) What is the purpose of these documents? What is a liability? What’s the difference between cash and asset? Are those documents even useful to a start-up? And if not, what do you need? These are topics for another time. I can’t tell you how many times an entrepreneur thought he’s going great, only to realize that he’s actually broke – a classic scenario where the bottom-line is showing a profit, but the business doesn’t actually have any cash to pay its bills. An established business can offer their customers credit (pay nothing for 30 days), but as a start-up, you may not be able to. Making a sale is not the same as making money. As a rule of thumb, you want to be paid as early as possible, even before the goods are delivered. For example, subscription based services (magazines, software, gym memberships) frequently give customers who pay 1 year in advance a discount to maximize their cashflow. With the invoices you need to pay, the rule of thumb is to delay them for as long as you can (unless there’s significant discount to pay early). You can then use the difference between the amount you collect in advance and the delayed payments to do something else in the business – like expand and advertise. This is important not only from an accounting point of view (which I’m sure you can see the advantages of), but also from a psychological point of view. Imagine spending $5000 on a professional web design and you need to pay it out of your pocket. Most people end up settling for a cheaper, inferior service. By having a separate account, you’re mentally separating yourself and the business, allowing you to make a more rational decision. If you’re worried about cost, there’s absolutely no need to. Bank accounts don’t cost much these days, and if you need to receive payments, go with payment solutions such as Paypal (online) or Square (offline) in the beginning. Yes, their fees can be a little high, but at the amount of sales a startup makes, fees are the last thing you should be concerned about at this stage. Not all credits are made equal and this can make a huge difference in a startup’s life. For example, your parents can lend you a tidy sum of cash and they’ll be happy if they get it back 5 years later, with no interest attached. That’s the “best” kind of credit, but what if the people close to you can’t help you out? Well, a bank is an obvious choice, but people often forget that banks are not the only choice. There are credit unions, crowd funding and dozens of other funding choices you can pursue, each with their own advantages and disadvantages. Even within a bank, credit comes in all shapes and form. So whatever you do, don’t finance your startup with a credit card. I’ve known a few founders who hate forecasting. Yes, it takes time and your forecast will be will go to the bin once the rubber meets the road but it’s still a necessary exercise. The reason is because forecasting makes you look at the business as a whole. It forces you to see different aspects you might have neglected. Some founders are obsessed with marketing, while others focuses on product development, but if you don’t know what’s happening in the bank, for example, you might not be able to finish those projects. Simply put, without the right numbers, you can’t make rational decisions based on fact. If you’re not an accounting expert, then outsource it to a professional. First of all, it doesn’t cost that much. All you need is a bookkeeper to keep proper records in the beginning. If nothing else, the value you get from that service comes in the form of a tax return at the end of the financial year. Secondly, you don’t want to risk it. Unlike say, marketing, the laws that govern accounting related processes are not at all “obvious”. The last thing you want is get fined for ignorance. This is not strictly accounting, but I think it’s important to mention nonetheless: everything is up for negotiation. Let’s take credit terms as an example. Can you negotiate with your vendor to delay payments from 30 days to 45 days? Can you negotiate a higher discount if you pay early? You can even negotiate your loan’s interest rate with your creditor of choice. This is especially true if you can leverage collective bargaining. If you’re responsible for 20% of a vendor’s revenue, don’t you think he’ll be happy to work out a payment plan with you – and potentially saving your business thousands of dollars in the future? 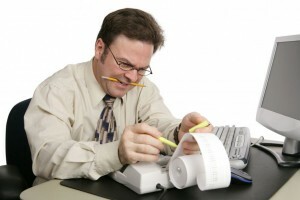 So there, 8 common accounting pitfalls startups can avoid. What are your thoughts? Krisca Te works with Open Colleges, Australia’s leading provider of TAFE courses equivalent and accounting courses. When not working, you can find her on Google+.